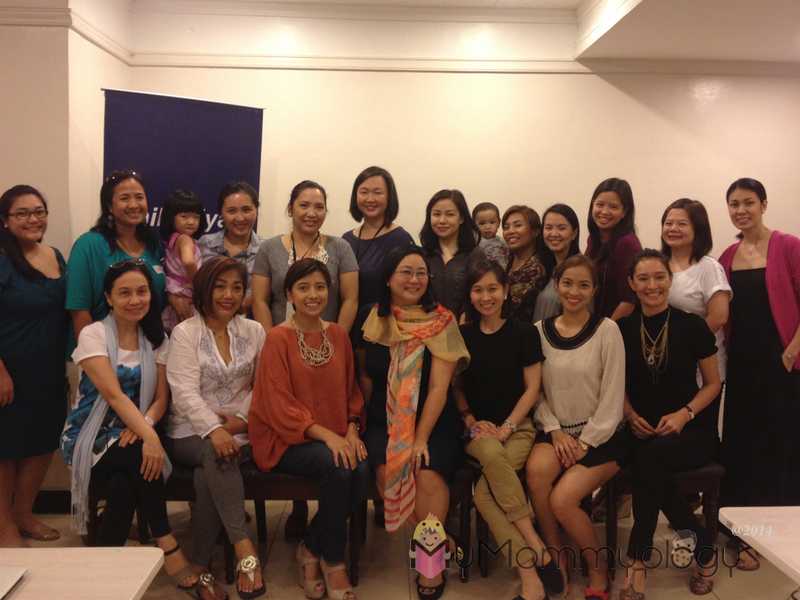 There is much to be said about the #BetterMe sessions we’ve been having with Coach Pia Nazareno-Acevedo of the One Core. 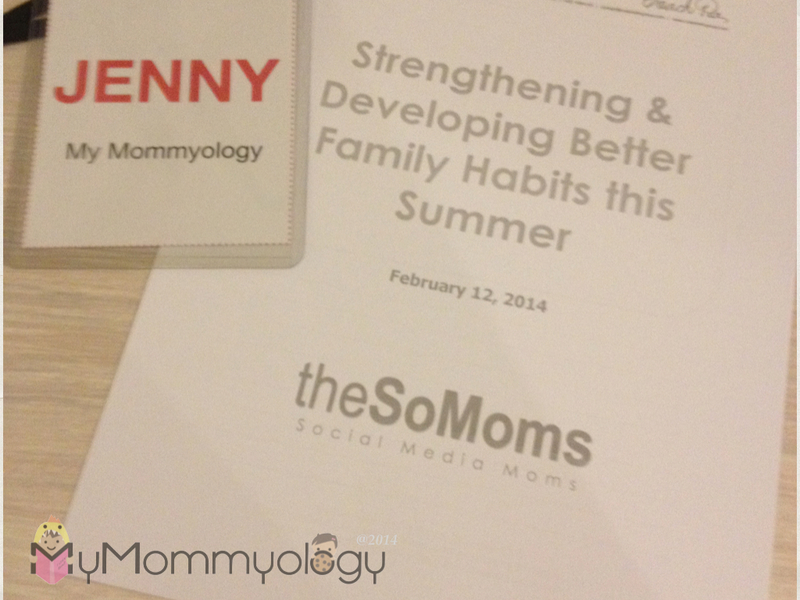 The first being the apt branding of the sessions and the content of each one; it really helps us become better people, and better parents. It’s hard to describe because there is so much to “learn”, but suffice to say I feel this has had a most positive impact on my life. Being aware of where you need to improve is one thing, but constantly seeking ways to improve and “better” the quality of life for oneself and one’s family is always beneficial. Hopefully by sharing what I’ve learned on Twitter, Instagram and through the blog post, you find something that can help you too. And please feel free to comment and ask questions. I’m always happy to share what I’ve learned. The next is a shout out to the sponsors who make these #BetterMe sessions possible. 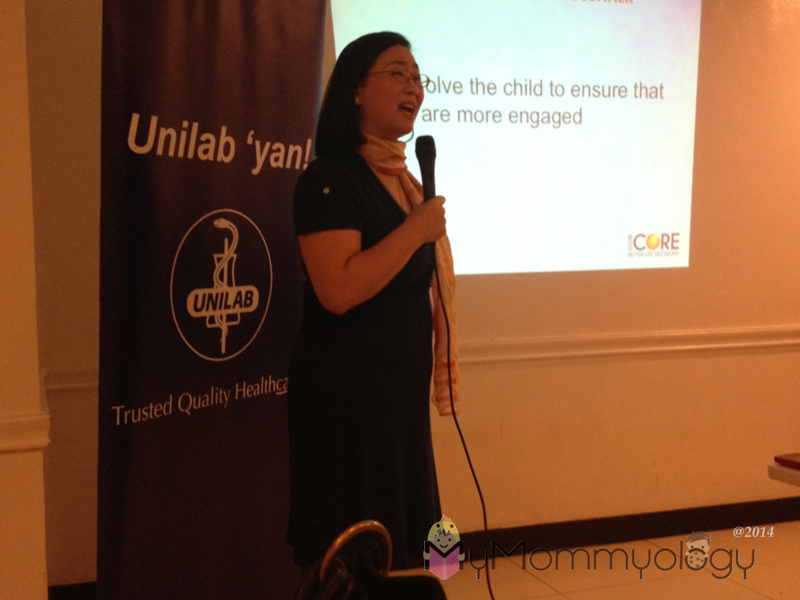 Unilab is a constant presence who believes in the #BetterMe advocacy, and I cannot thank them enough for this. It just goes to show the company’s values that go beyond selling products. As a previous client myself, I understand that before accepting any sponsorship we were trained to ask and justify its ROI to the brand. Now that I’m a parent and a participant though, I’m glad that there are sponsors who look beyond just ROI, because it is so much more. It definitely builds long-term brand affinity, and if memory serves me right, those aren’t things that can be immediately measured on the bottom line. So again thank you Unilab for looking beyond, seeing that and embracing it for all to benefit. Thank you Unilab for believing in this advocacy. It wouldn’t be possible without sponsors like you! 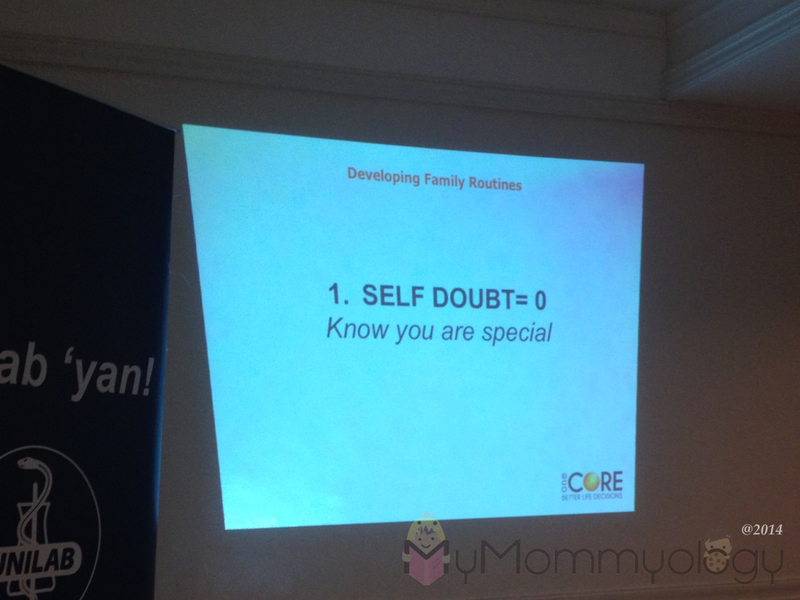 The last #BetterMe session we had at Dad’s World Buffet in Megamall was about Strengthening and Developing Better Family Habits for the Summer. Relevant topic for the morning. It’s such a timely and relevant topic since kids are now getting out of school and parents are looking for things to busy them with. I know for sure Sam needs several activities to keep her preoccupied (because I also need my sleep! ), and she can’t spend all day in front of the TV. Jamie as well is beginning to stay awake longer, and is also looking for things to do. In our day and age, there are really a lot of options to choose from. It’s so unlike before when I remember my summers were filled with play dates at my cousin’s, non-stop TV and foregone bedtime, these days kids are put through so many different kinds of activities. Sometimes it also becomes a question of what is too much or too little; are we being to rigid and not letting them have enough free time. And so much more. 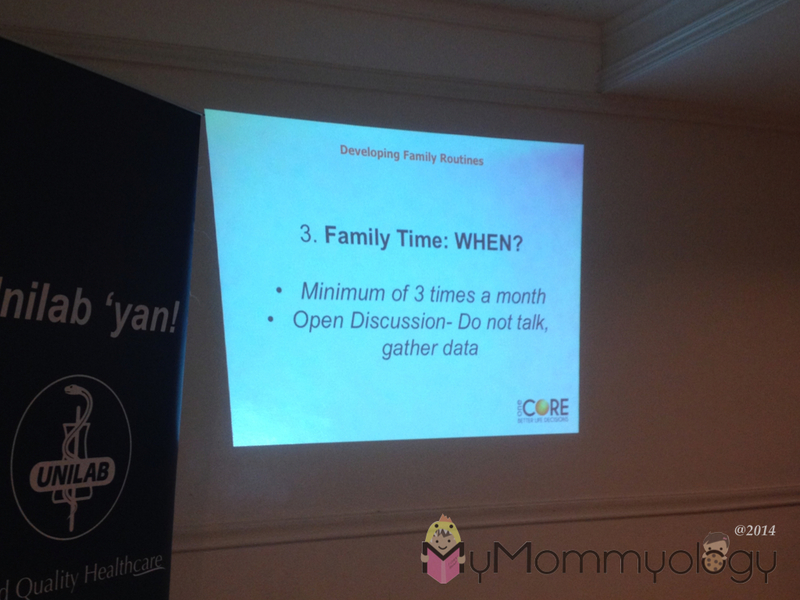 Coach Pia advises to start with the main objective for each child for the summer. As much as summer is a good time to build skills outside of school, it’s also the only time kids get to explore. So allow them to immerse in various activities. There’s no need to choose and stick to one immediately; that will all come in time. Also, it’s best to involve the child in the decision-making process. Sharing what your objectives are for them too and getting their buy-in is good practice. The biggest mistake we parents can make is just signing them up for the stuff we want them to do and then informing them after. It’s so simple if you think about it — who will go willingly if they’re just told to attend and not consulted about it before? Sometimes it’s just a matter of asking, “What do you think about trying ___ activity? How do you feel about it?” Even if they’re as young as two-years old, starting out this way will help you all develop good habits moving forward. It’s also important to process the experience with them after they’ve tried and allow room for self-discovery. I was sharing with the #SoMoms that Sam has expressed an interest in Tap Dance. TAP?! It never occurred to me, and least of all it never occurred to my husband. “Tap? Tap? !” Was all he could say with a frown. I had a feeling that if she said soccer it would have been received with more optimism. Sometimes as parents we need to catch ourselves and remember that it’s not about what we want for the kids, but what they would like to try. Self-discovery. We parents should be enthusiastic about it and support her wholeheartedly. And what’s more, Sam had already taken the initiative to inquire at the studio for the schedule of the lessons, even before she told me about it. So Tap it will be then, and there’s no need to convince Sam to go, because it’s something she already wants to do. As for Jamie, she’s expressed interest in taking ballet. Sometimes she comes with us when Sam has classes and has watched her Ate dance from outside the glass window. And she is now of age to do it too. I paid for a trial class, but remembered also the lesson I learned from Coach Pia about not putting siblings in the same team, the same class or through the same activities. One will always do better than the other and in the spirit of self-discovery, what you don’t want is to hamper the interest or bias of the other child because of how much better or worse she does versus her siblings. The main lightbulb moment of the session for me. 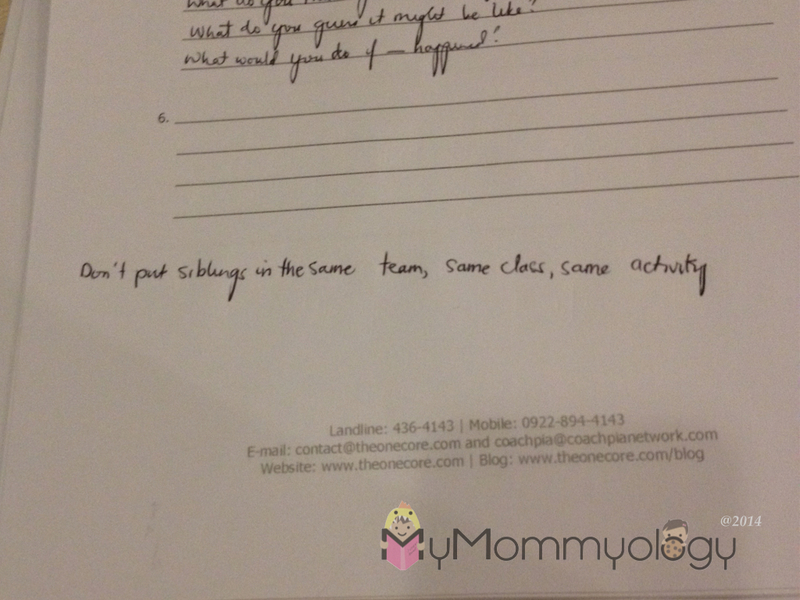 It’s always easier for mom to bring them to the same class because it’s like hitting two birds with one stone! I tell you with the traffic situation in the Metro these days, similar activities and times make it more efficient. But then again it may not do wonders for their self-esteem. In a good way, the ballet classes in this studio are split according to age, so Sam and Jamie will never be classmates. And the schedules of each level is different, I find I’m at the studio at least 3x a week (what more when we start Tap. I may as well bring a bed over). It’s harder on the scheduling, but definitely the way to go so they can both enjoy ballet at their own capacity. Sometimes the irony of summer is that despite the kids having more free time, parents are busier. I know for a fact that my husband’s schedule looks quite impossible in the next two months. Which only means, we purposely need to set aside time for the four of us to spend together — not just in going through the motions of our routine but processing it as well with open minds, and letting the kids tell us how they feel about each experience. We can use the time to plan for the rest of the year too and talk about what each person in the family needs to move forward. This is something my little family needs to make time to do. 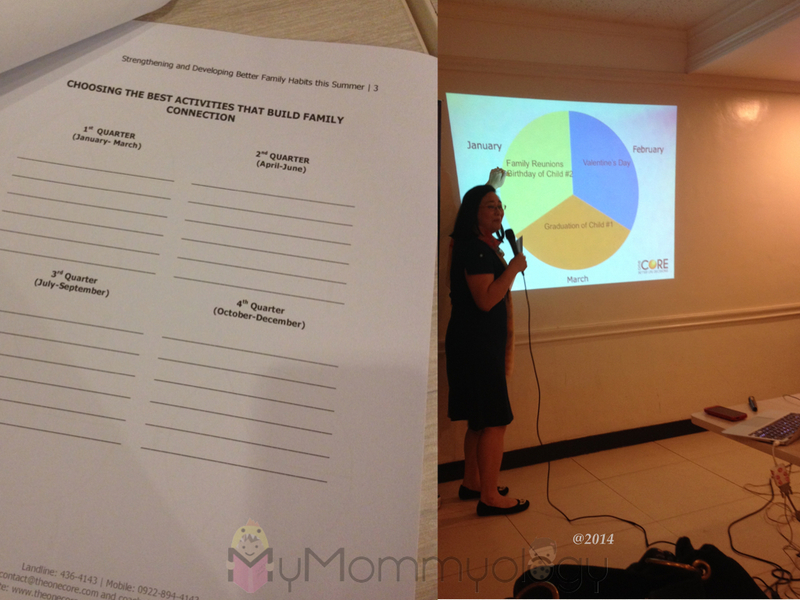 Coach Pia has a tool that breaks down the major activities a family expects to go through annually. In that way it provides everyone with a picture of how or where to allocate their time and energy and set expectations and budgets. It also allows the family to see where they need to simplify. Left: Write down the big family activities per quarter. Right: Break it down per month and split it according to the amount of time and energy you can put into it. What’s nice about the take-aways of this #BetterMe session is that it doesn’t just apply to the summer. It’s also applicable to the activities the family goes through the rest of the year. This one hits home quite a lot. We have to trust in our abilities as moms to do what’s best for our kids and our families. And when self-doubt is equal to zero, everything will follow without a hitch.